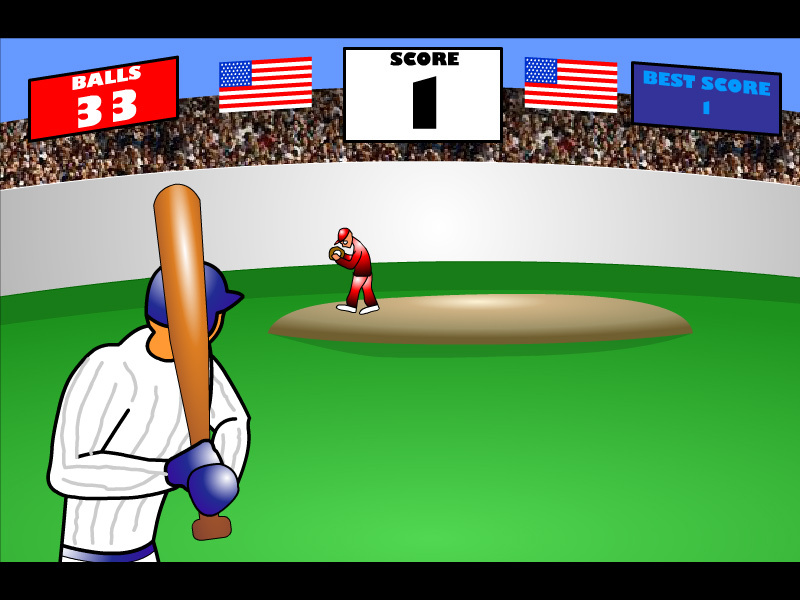 "Baseball" is a small online game about the baseball sport. 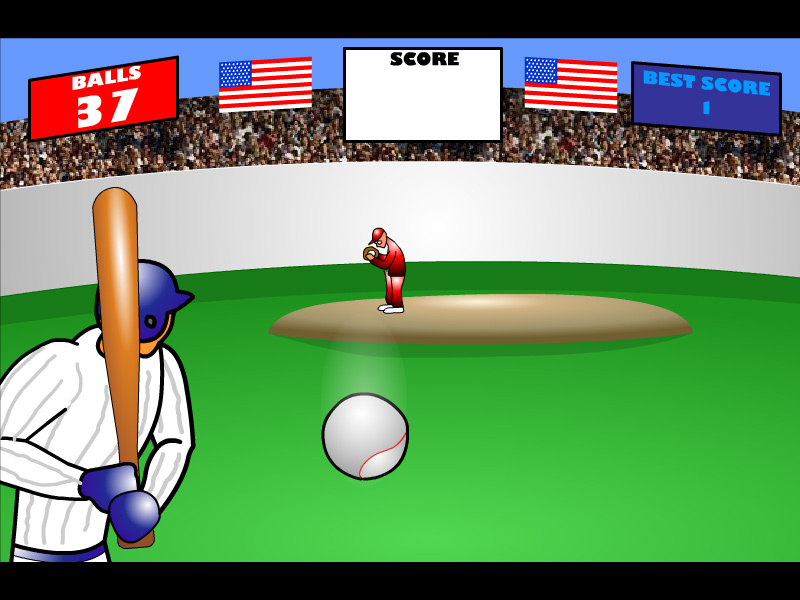 Use left mouse button and try to hit the incoming ball with the bat. Free online game. Sports learning game. This is a classic sport game made by Flash Game Studio. Use left mouse button and to hit the incoming ball. Detailed rules of the real baseball sport are described in the Class subjects section. Baseball is a bat-and-ball game played between two opposing teams who take turns batting and fielding. The game proceeds when a player on the fielding team, called the pitcher, throws a ball which a player on the batting team tries to hit with a bat. The objectives of the offensive team (batting team) are to hit the ball into the field of play, and to run the bases - having its runners advance counter-clockwise around four bases to score what are called "runs". The objective of the defensive team (fielding team) is to prevent batters from becoming runners, and to prevent runners' advance around the bases. A run is scored when a runner legally advances around the bases in order and touches home plate (the place where the player started as a batter). The team that scores the most runs by the end of the game is the winner. Labels: Sport Games , Ball Games , Arcade Games , Free Online Games.